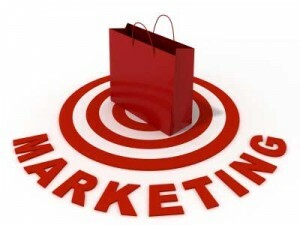 1) Know your target market – If you have read some of my other blog posts you know I am a huge supporter of making sure one has a marketing plan, no matter how formal or informal. (See the blog here.) A big part of that plan is knowing who you are selling to, noting this can change. Yes, as a small business you want to take all the work you can to make money, but that does not change the fact that you need to know who your target customer is though. In today’s highly saturated information world, reaching your potential customers is very difficult and can be impossible if you do not know who they are. Let’s say you are selling t-shirts, but standing next to the nudist colony people and the people that really want your shirts are clear on the other side of the room. If you don’t know your target market you are going to be trying to sell shirts to nudists and then when that fails you will be just screaming at the top of your lungs to anyone who will listen. Now you’re the crazy person in the room! But let’s say you walk into that same room, and you know your target market is people that are trying to promote a band and need t-shirts to do that. Now you can ask around and find out where the band people are standing, then you can walk over to their area and start a normal conversation with them about their needs. The best part is now that you found the right people it is so much easier to win the business. Then it also allows your business to grow organically. Let’s say you make some t-shirts for a band you meet at the 10,000 people convention and your service was excellent. Then let’s say that the band’s lead singer has an uncle who is a triathlete. Uncle runner happens to need shirts and sees the new shirt band singer guy is wearing. BAM! You have a new lead and potentially a new market to target. A friend of mine, Jimmy Lamb, has a very good spreadsheet, webinar (“What do I Charge?” from 2/8/12) and blog post that will really help you figure out your true costs. I will not expand too much into this since he does a great job of it with those available resources mentioned. What I can say is that I believe you will be surprised at what factors move the needle between profit and struggle. Again this is an area of focus that must be worked on regularly. Definitely update your numbers and review your pricing on a monthly or at least on a quarterly basis. This will help avoid any big surprises that could take away from your success in business. Great post, Aaron. Spot on.